As an older pe­rson, you may sometimes feel vulnerable when you are at home on your own. Even if you are living with your spouse or other family members, it can sometimes seem that the world is an increasingly dangerous place and that times have changed, and not always for the better. Here at Lockrite we take the security of our elderly customers very seriously – so we have written this in-depth guide to help you find the right security for your needs. If you live alone, and are worried about a trip or fall, there are a wide range of personal security devices on the market today. Most of these are incredibly easy to use, inexpensive and can alert your chosen contact should you not be able to reach the telephone after a fall. Our home alarms have a wide range of accessories including arms bands and pendants that have a button that can alert key contacts in an emergency. These devices are discreet and offer a lifeline to elderly residents living alone. One press of the button and your home alarm system sends out an SOS to designated contacts, keyholding companies, family members or friends. One of the best Home Alarms on the market is the very clever Risco Agility 3. Using integrated cameras, this system is Insurance approved and provides a very high level of security for your home. The motion detectors and integrated cameras can record and store footage of a break-in. Any recorded footage is stored on the Risco Cloud server so evidence cannot be tampered with on-site. Advances in modern technology mean that a GSM sim can be added to Lockrite Security’s alarm systems for extra reliability when dialing out to the police, key contacts or private security firms. If the outside phone line has been tampered with for any reason, the GSM sim will use all available networks (O2, Vodafone, Three Mobile, Orange etc) to dial out in the event of an emergency. If a would-be intruder sees that your home is secure and well protected then it could be enough to prevent a break-in. Having a home alarm system is one of the best ways to deter burglars from targeting your home. To accompany the home alarm we would recommend installing a few security cameras to the outside of the property for extra peace of mind. The footage from the cameras can be viewed through your TV or using a hand-held monitor. Motion activated lights are another good deterrent as the they illuminate shadowed parts of your homes which could offer access points for intruders. Having a visual burglar alarm with a bell box will help deter potential burglars from attempting a break-in. You could also register for the Neighborhood Watch Scheme and clearly display their window sticker as another visual deterrent. Burglars often gain entry to residential properties via poorly secured doors or windows, so providing a first-line deterrent like visible (and sturdy) locks is a step towards increased security. Ensuring your front door has a reliable, heavy duty locking mechanism is vital for your own security. A mortice lock, also known as a “Chubb” lock, is generally used for front, side and back doors as they provide added security. You could also fit hinge bolts to add further protection to key entry points in the property. The majority of insurance companies now specify that High Specification BS 3621 Security Locks are fitted to validate your home insurance and come recommended by Crime Prevention Officers. We also recommend fitting a letter box cage so thieves cannot tamper with locks through the letter box. Installing window locks are an important part of keeping you and your property safe. Windows can be secured with window locks that use keys for added security. As home security specialists, we recommend installing window locks to all of the windows on the ground floor or windows that are easily accessible. You should keep window keys in a safe place (close to the window) so you can find them if you need to escape in the event of fire. Intruders often look for a way to access your back garden to gain access. They consider rear doors to be the weakest parts of your property, as they have less chance of being spotted. To prevent this from happening, install a lock specifically designed for double doorways. The Patlock, for example, is a revolutionary lock that has been designed for French Doors and prevents an intruder from snapping the lock to gain entry. The Patlock should be used as an addition to your existing handles and not a replacement for installing a secure lock. The Patlock works by securing all shoot bolts and levers so they remain in the locked position ensuring the doors cannot be opened. You should also consider fitting a five-lever mortice deadlock with kitemark BS3621, if you haven’t already. A standard garage door will probably only have a traditional simple cylinder lock located in its handle. These are not very secure; taking very little effort and virtually no time to force open. We specialise in the supply and fit of SeceuroGlide roller garage doors, which is one of the most secure garage doors on the market. If you cannot stretch to a new garage door, talk to us about the best type of lock available to suit your existing door. Outdoor lighting offers many benefits including helping homeowners and visitors to be able to see pathways, steps and any potential obstacles clearly. A security light with movement detection not only offers a quick and inexpensive way to reduce fall risk and help seniors stay independent, it also acts a deterrent to intruders. Position the lights to cover all the approaches to your house, including fence gates, the patio door, the darker areas of your garden and surrounding trees and bushes. Good lighting can’t guarantee security, of course, but it’s one of the best low-cost ways to get unwanted intruders to back away. Long gone are the days of keeping your valuables in a box under the bed. Whilst having a safe in your home may seem like a luxury only reserved for the very wealthy, it is actually an affordable and practical way to keep your belongings secure. Despite what the movies may have us believe, safes are virtually impossible to break in to. Here at Lockrite Security Limited we are specialist safe fitters and have a number of fireproof safes to suit your individual needs. Whether you are looking a cash box, a key safe, a free standing unit or a fully fitted safe, we can advise you on the correct safe for your home. All of our safes are Insurance approved and come complete with appropriate manufacturer guidelines to the recommended level of cash/goods value to be safely secured. If you have a carer visit your home on a regular basis, you will no doubt have given them a key so they can come in without disturbing you. Whilst this is common place, it is not always the best option if you want to maintain security. Most keys can be taken to a locksmiths and copied without the original owner knowing or needing to give prior concent. 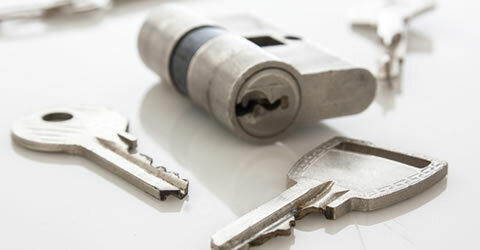 We can supply high security keys and cylinders that are made to order. High security keys are typically used for commercial security but can be used in the home. What makes these keys more secure is that written authorisation needs to be obtained from the key holder before a duplicate key can be cut. You could also upgrade your locks to access control keypads as this will allow you to issue keyfobs to carers so they can have access to the property. This is a better solution as you can easily revoke access for certain key fobs instead of having to change the locks, which can be costly! If you have a home alarm installed you will also need to give carers access to being able to set and unset the alarm when they leave or enter your premises. With the Agility 3 alarm you can setup key fobs to easily set and unset the alarm. Much like the smart locks, you can easily revoke access for certain key fobs if required. Have we missed anything in our Elderly Security Guide? Let us know in the comments below!